Product prices and availability are accurate as of 2019-04-22 19:04:51 UTC and are subject to change. Any price and availability information displayed on http://www.amazon.com/ at the time of purchase will apply to the purchase of this product. 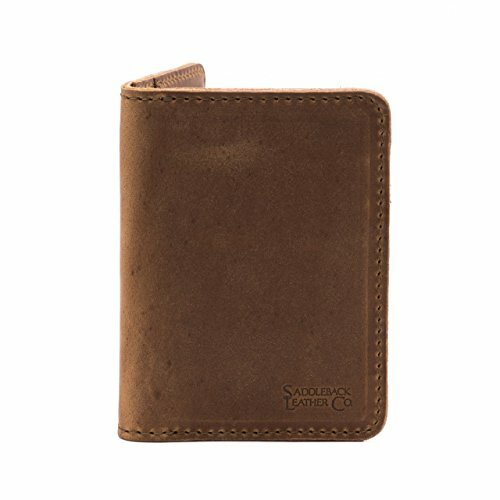 How can Saddleback give a 100 Year Warranty on a wallet? 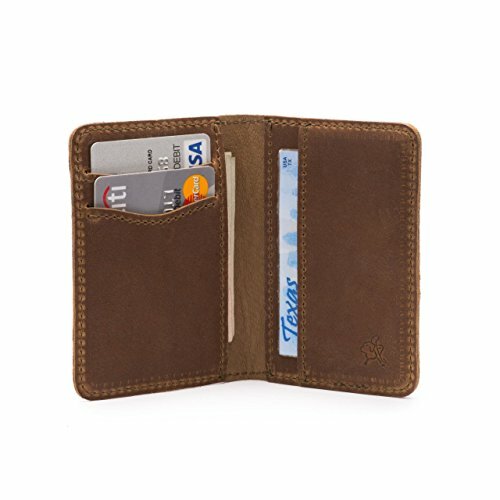 Aren't fancy leather wallets something you're supposed to replace every 5 to 10 years? In addition to using the highest quality, most expensive parts on every one of our leather designs, you won't find zippers, chains, money clips, snaps or plastic on any of our wallets, because these all break over time. We keep our designs classic, simple and highly functional. Take advantage of this unprecedented value and buy one of our leather bifold wallets. It'll be the LAST leather wallet you'll ever need. Available in Saddleback's 4 leather finishes -Tobacco (Tan), Chestnut (Red-Brown), Dark Coffee (Dark Brown) and Black. 1. BEST PEOPLE - The quality of our leather wallets is only as good as the people who make them. We employ the best leather artisans in the business. 2. BEST LEATHER - We only use full grain leather, which is the strongest, most expensive, highest grade of cow leather, sourced from reputable, environmentally friendly tanneries in Old Mexico. 3. BEST THREAD - Our thread quality cannot be emphasized enough. We use extremely strong, marine-grade polyester thread that is UV and saltwater resistant. You'll find the same thread used in parachutes. 4. BEST PARTS - We never use snaps, magnets, zippers, velcro or rolling wheels, which all eventually break. Combine that with our incredibly durable Stainless Steel 316 hardware on our popular Saddleback bags and it ensures our 100 Year Warranty is no idle boast. 5. 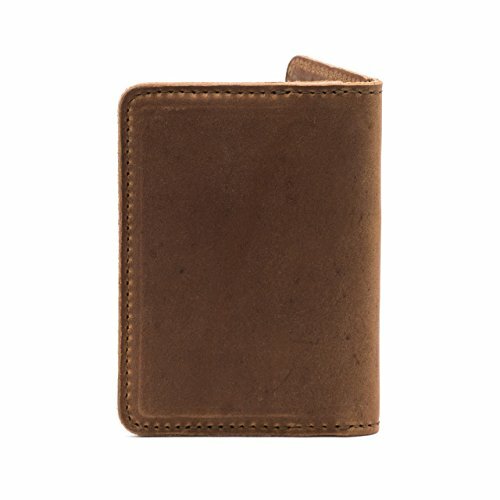 100 YEAR WARRANTY - We built this leather wallet to last AT LEAST 100 years. All our leather designs are field-tested to handle stampeding bulls, your daily morning commute and small children. Whether your adventure takes you across the Serengeti or uptown on the A train at rush hour, if this leather wallet goes before you do, we'll fix it or replace it for free.